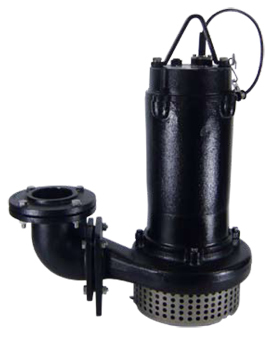 FKO Sewage Sump & Effluent Pump features high head for sewage applications. Outlet – 80 mm (3 in.) and 100 mm (4 in.). FKO-322: 21 m / 72 ft., FKO-337: 27 m / 98 ft., FKO-437: 25 m / 92 ft.
FKO-437: 1000 l/min / 238 gpm. Rigid cast iron construction – superior for heat dissipation. Oil-free motor, class F, IP 68, with thermal and over-current protector. Standard cable length – 10 m (10 ft), or longer upon request.